So, here we have it. Avatar of War, dead ...with 1 death. 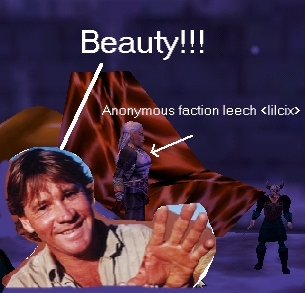 I can't say it any better than the Croc Hunter can. But, Hoss has no time. So we pressed onto High Priest in Ssra temple! 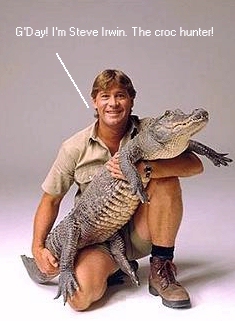 This guy's a snake, so naturally Steve Irwin can handle him right? WRONG. 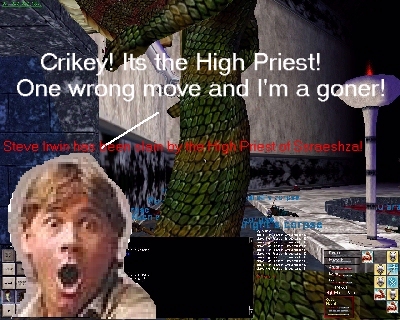 Even the High Priest proved too much for the famed Croc Hunter, and as we can see in the shot below, we'll have to be finding a new mascot... bummer. Luckily, however, it wasn't completely one sided and I'm taking bets what our next news post is going to be about!